Enterprise Holdings Inc. has been honored as a 2016 BEST Award winner by the Association for Talent Development (ATD). 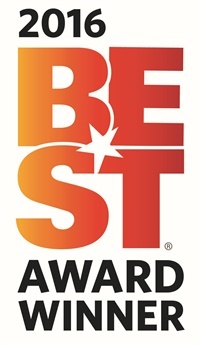 The 16th annual BEST Awards ceremony was held on Oct. 5 in Washington, D.C. Enterprise ranked No. 14 on the list of 36 organizations from Canada, Denmark, India, Scotland, Taiwan, and the United States. • Chief Learning Officer magazine named Enterprise Holdings a gold 2016 LearningElite organization, recognizing the company for workforce development strategies. • Training magazine, a business publication for learning and development professionals, ranked Enterprise Holdings No. 60 on its Training Top 125 in 2016. • Workforce magazine included Enterprise Holdings on its 2016 Workforce 100 list, which recognizes companies in multiple human resources-related areas, such as recruiting, learning, leadership, and diversity.